Observations and conversation about the art and engineering of design and Design Thinking in particular. 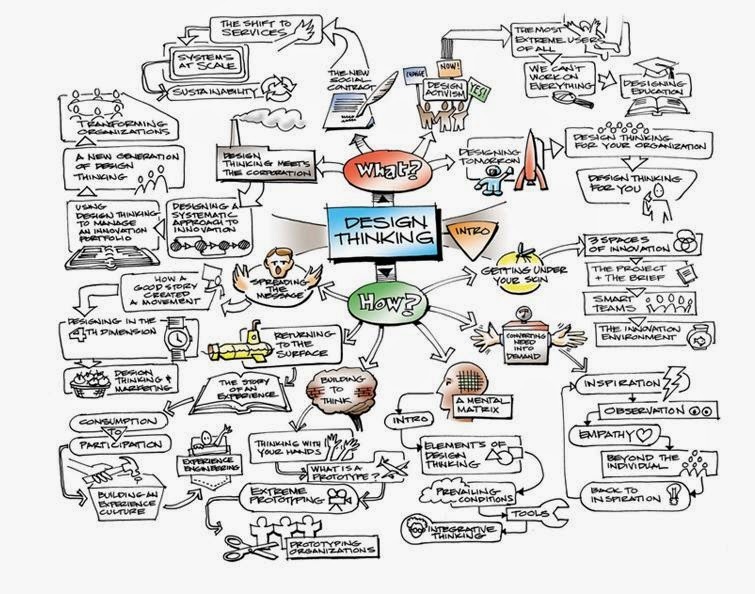 Lately, I've been researching and reflecting on the history of design and Design Thinking in particular. While doing that, I've often found it necessary to reframe my verbal and visual vocabulary in order to understand someone else's points of view about what they think is and isn't Design Thinking. For example, there are times when Dave Kelley's conversational style feels very non-linear, almost chaotic, with threads of ideas spreading out in different directions, each asking to be understood and evaluated. On the other hand, Nigel Cross' style is more linear, although every bit as thorough. Given the intimate relationship between IDEO and the d.school, the similarities aren't too surprising. One of the things that Matt Kahn taught in Art 60 was that content communicates intent. (Not a direct quote.) These two images present some very interesting elements for our consideration. First, their composition is very informal and fluid. The fonts are casual and seem handwritten, letter sizes and spacings vary, circles and arrows are scattered about. They provide clues to the flow and priority, but all in all it's a bit chaotic. 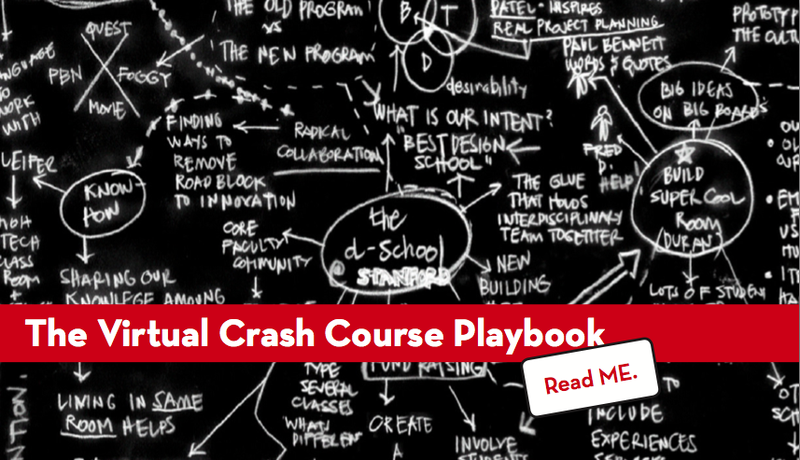 The d.school at Stanford is center stage in the second one. It's also interesting that tone is called a playbook - which bids to you to "READ ME". 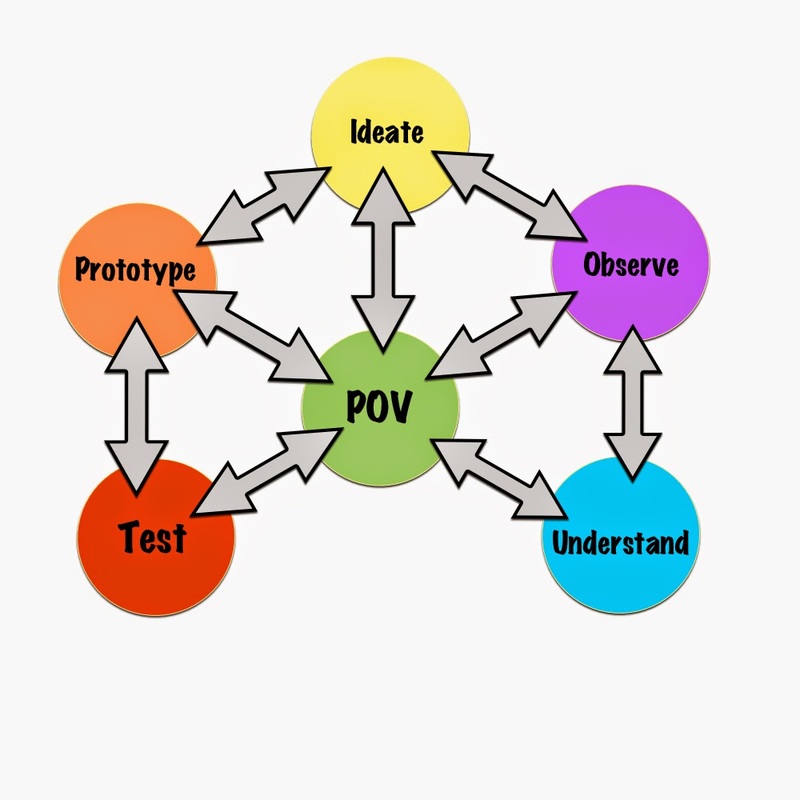 What is interesting here is that although they are much simpler and orderly, neither of them accurately capture the cyclical and re-iterative nature of the Design Thinking process flow accurately. To me, they also seem a bit static. 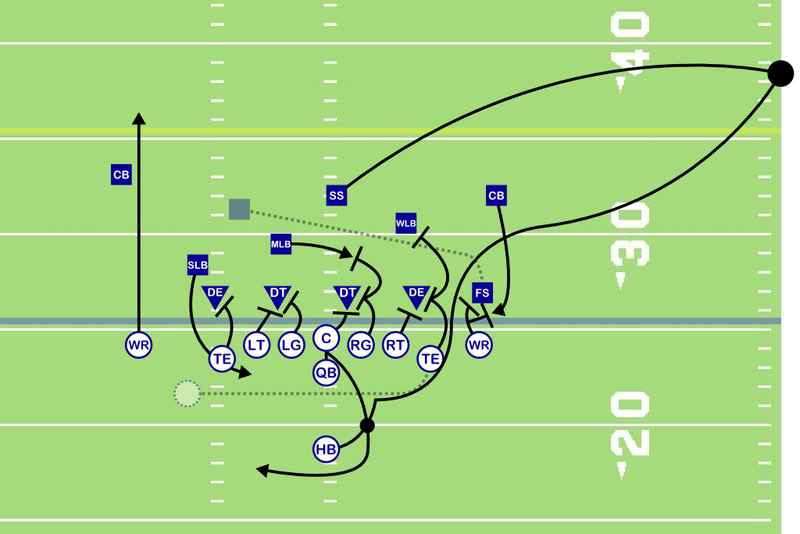 Compared to the types of flow diagrams used by computer programmers and business analysts, the charts used to illustrate Design Thinking are much more like the football play diagram than the software flow chart. Anyone who has watched football knows, things don't always work out according to the playbook, even with professionals who are getting paid much better than any designer I know. One could argue that both types of charts are accurate depictions and that they reflect the true nature of their respective processes. That would be true, but - and this is a BIG BUT - to the neophyte, or someone from another field of study, like Finance and Accounting, the message they deliver may be very different. 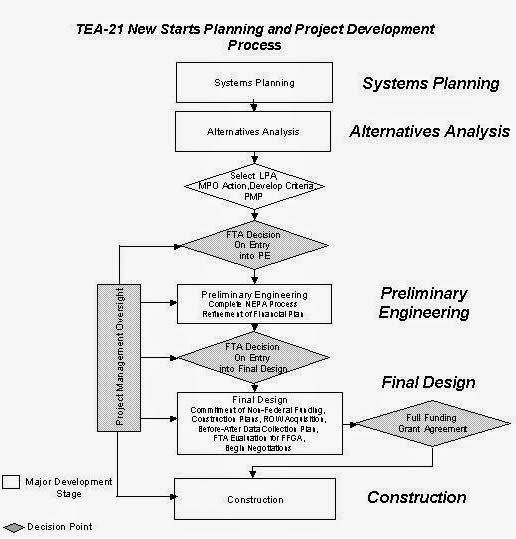 "This process may appear complicated, but it has an organized flow, which I understand, explain (and hopefully manage) well enough for you to understand it." "Bowl of spaghetti! It's a crap shoot at best and futile at worst, but trust me, I know the territory." The problem with chaos is that it is unpredictable, unteachable, and therefore un-learnable by analytical means. Becoming a Jedi Master requires overcoming your fears and endless practice on a planet that is light years away in another galaxy. This is where DT really shines, because it gives you tools to explore the unknown and embrace the ambiguities. The next problem is confusion about meaning. 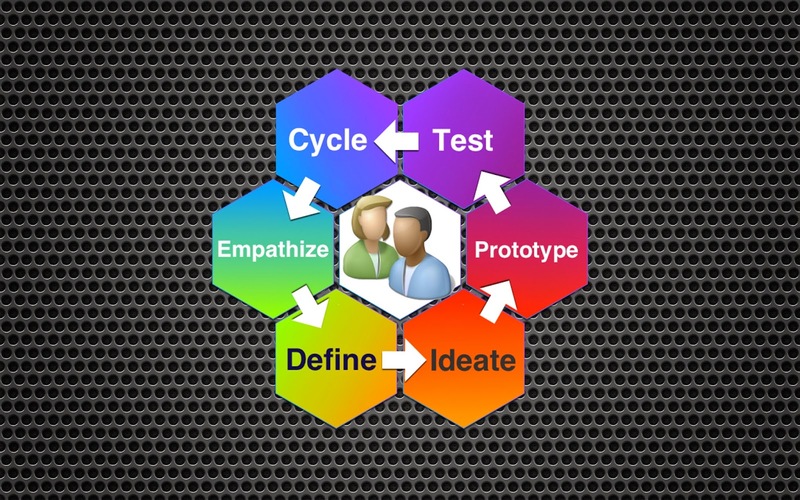 What does "design thinking" actually mean? Dave Kelley says its the way designers think, but professional biologists and sociologists have been studying that for decades and they haven't advocated a "best" method of doing it yet. Although that is partly because they are researchers and don't apply theory. Which is also probably also why David Kelley does classes, and Joi Ito at MIT does projects. 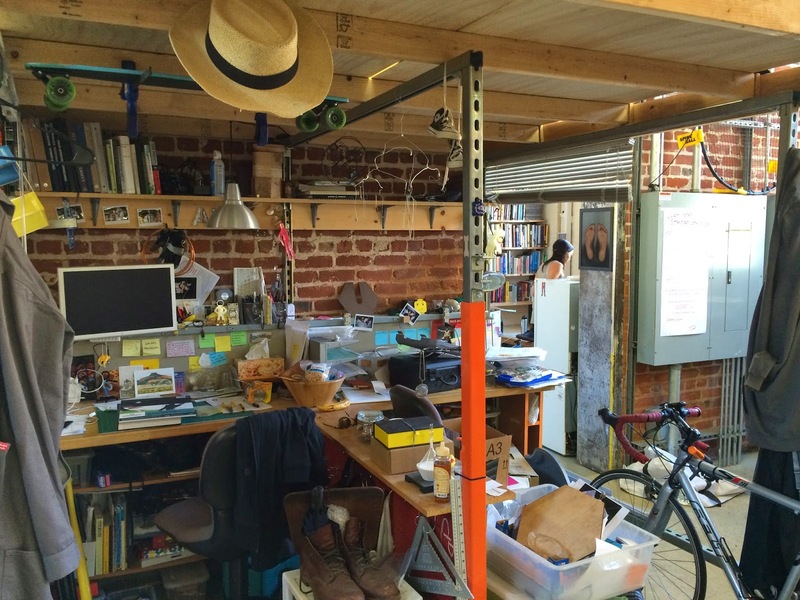 Home, Sweet Loft Space, Stanford style. Note to aspiring Design Thinkers; The folks who pay the bills are often nervous about chaos. If the first rule of Design Thinking is Start with Empathy, maybe the visual, spacial, non-sequential thinkers need to have a little more empathy for the linear thinkers who balance their checkbooks to the penny every night before turning out the light. Now, Tom Kelly is telling a really cool story here, but it's buried in the middle of a 90 minute video with no chapter headings. 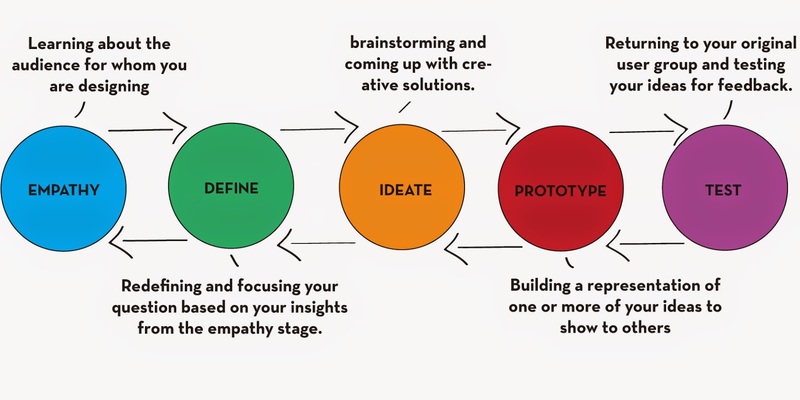 These examples are taken directly from Stanford, IDEO and the d.school, but the observations may be useful to others who are interested in, or frustrated by, the current state of acceptance of Design Thinking in the business world. Remember, the first rule is; Start with Empathy. To that end, I have a proposal for what may be a more accurate expression of the Design Thinking process, and is built up out of three elements; the color wheel, the phases and, most importantly, users. The basic idea here is pretty simple; There is a multi step process, expressed by the hexagons. Their colors transition blend, like a color wheel, representing moving thru all the aspects of the situation and illuminating the scene with all possible points of view. In the middle, where they belong, we have users. Arrows guide the re-cyclical process flow and the text explains the function of each phase. The background is a perforated metal grill, which just looks cool and feels "professional". Which is actually a re-arrangement of this image from the HPI School of design. I know, they aren't a brainstorm of post-it notes, and flowing, loose, stop-action marker pen animation, but maybe it can provide a framework for everyone to comfortably play in. This isn't the only area we struggle in our efforts to "sell" Design Thinking. Our verbal expressions are often imprecise and laden with metaphors. We need to clearly show the process and describe it in terms which bridge the languages of art, engineering and business. While much of what you say may be true there have been many efforts to clarify things in a much more orderly and clear manner. You've chosen the chaotic graphical depictions only. The problem is that when others try to give DT some sense of order critics attack them for that as well. There needs to be some way of giving it some ordered chaos so that enough patterns emerge to make the ambiguous seem structured. Nur - Thank you for that observation. You made me realize that I was really aiming my comments mostly at my Stanford/d.school friends and affiliates and I've updated the post to reflect that. All text and images on this page are copyright New Venture Resources. Simple theme. Powered by Blogger.